Enjoy carefree despite lactose intolerance or celiac decease! 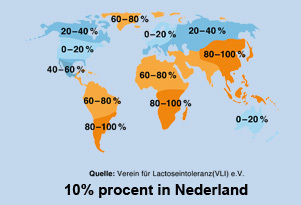 According to experts' estimates, 1.6 million people in the Netherlands are to a greater or lesser extent lactose intolerant. This amount increases by 50% of the population in the Mediterranean region, 75% of Afro / Caribbean and 95% of the population of Asia. The person concerned lacks the enzyme lactase, or makes too little of it. 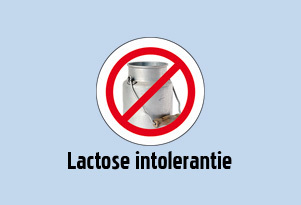 Lactase in the small intestine splits the lactose from milk and dairy products (milk sugar). The incompletely digested lactose is then fermented in the colon by bacteria. The released gases lead to physical ailments. 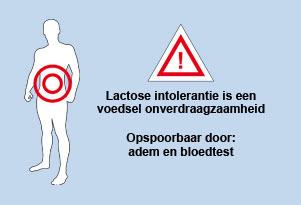 The intensity of the symptoms depends on the degree of lactase deficiency and the amount of lactose ingested. It can cause abdominal pain, bloating, flatulence, abdominal cramps, constipation, diarrhea, nausea and vomiting. 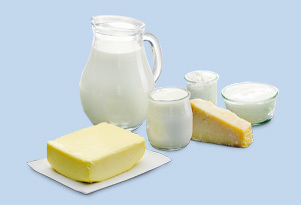 Foods containing lactose: All milk and dairy products (cow's milk, goat's or sheep's milk), milk chocolate, yogurt, butter, margarine, cream, butter milk, ice cream, desserts, such as custard / rice pudding, cottage cheese, cream cheese preparations. Foods that can contain lactose are: Processed food and frozen food, bread, rolls, pastries and biscuits, pastries, meat and meat products, instant products such as soups or mashed potatoes powder, sweetener, salad dressings, spice mixes and grain mixtures. What can those involved do?